Hospitality industry has come a long way from traditional methods of handling customers to an enhanced, innovative and unexpected ways in which they are attracting customers in the modern times. Although hospitality professionals have numerous opportunities to influence the guest experience, understanding and controlling them have brought revenue growth and increased guest loyalty. Leveraging the power of innovative point-of-sale, property management and payment solutions brings a seamless experience at every point of interaction. 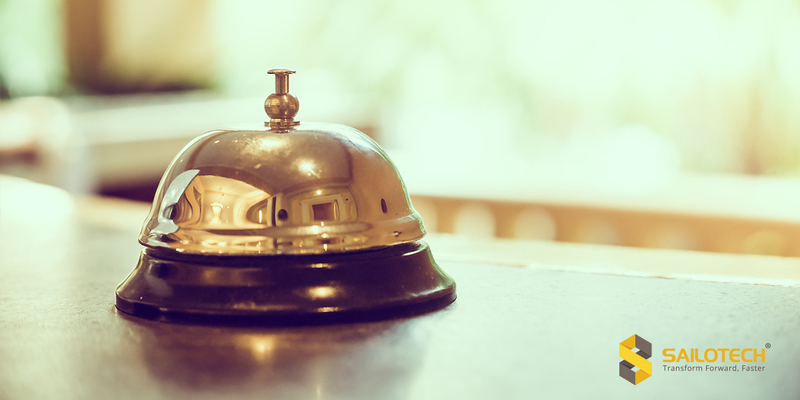 Even though every industry has their own ways of attracting customers, there are a few universal rules of innovative technology which are influencing the guest experience across hospitality operations. Personalized Experience – The next-gen front desk management system provides a personalized experience to the guests by presenting them with the best possible service based on their guest information and history. Also, when this is integrated with the on-site point-of-sale system, the guest has a seamless experience across the property, feeling recognized and welcomed. Convenience-on-the-go – This is the need of the hour when the guests are enjoying amenities on the property. Getting a constant access to food & beverages, or any other enjoyments often is a very intelligently planned source of generating revenue. Ordering, serving and paying poolside or on the course is a great way to show that the comfort of your guest is top priority. Cashless Transactions – Thanks to the demonetization effect, going cashless has become more of a necessity and customers prefer this way, to avoid theft or currency exchange hassles. This demands for the properties to adapt to this change and improve their efficiency in their operational workflows. Credit/debit cards, secure online payments or any other safe payment options encourage both the customers and the staff to stay happy. Online reservations – With the advent of technology, hotel industries are leaving no stone unturned to get benefitted to bring in revenue growths. The guests can reserve their travel & stay on the hotel websites, making it more profitable and keeping the guest captive for the hotel industries. With a reservations app right on the website, managers provide a full-service guest experience from the start. Mobile Wait-list Management –The common saying, “first experience is the best experience” matters a lot for hotels. It is essential for them to create a quality guest experience for diners and by providing accurate wait times upon arrival. Managing the Wait List via a mobile tablet, such as an iPad®, improves staff communication about table status and enables real-time, accurate wait times for walk-in diners. This wait-list optimization goes a long way to prevent waiting diners from walking out the door. Today’s guests expect a seamless experience at every interaction. By making sure that each transaction is efficient and secure will go a long way to growing guest satisfaction. With the right combination of integrated technology, operators are accomplishing this, all while building guest loyalty and creating a competitive advantage.